Castleton’s small school feel set alumni Katelyn Doran up to accomplish her big dreams and build a successful career. Originally from the town of Castleton, Doran took full advantage of the affordable education that served as her neighbor growing up to better set the foundation for her future. Currently living in Groton, Connecticut, Doran works full-time as a Physician Assistant at PhysicianOne Urgent Care. 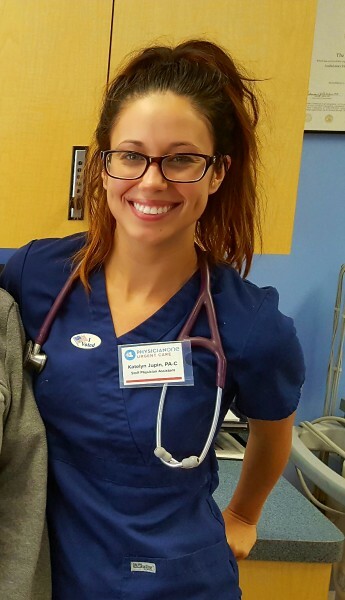 After completing her degree at Castleton she continued her education at Arcadia University to achieve a Master of Medical Science, Physicians Assistant Studies. “I received an exceptional education at Castleton and I never would have survived PA school had I not been provided with such a strong foundation to build on,” she said. Doran is thankful for each and every professor in the Natural Sciences Department who pushed her as a student and an individual.